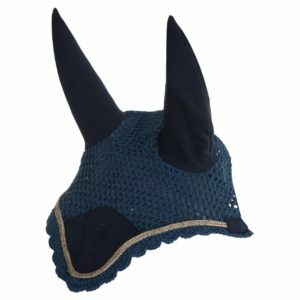 The ANKY® Ear Bonnet is hooked yarn combined with knit/suede fabric and embellished with a light gold/silver twisted cord.Your horse’s ears will be free from flies and look good at the same time. Colour Estate Blue. Our bridle number holders include a hook to secure to the brow band and strap to go around the cheek strap. They measure 11 x 8 cm. 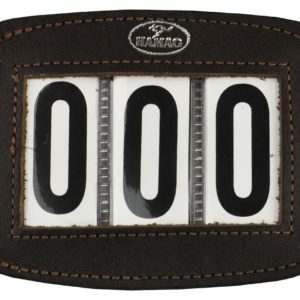 Our bridle number holders include a hook to secure to the brow band and strap to go around the cheek strap. Pony size measures 8.7cm x 6.8cm in 3 digits. The Bits ‘N’ Pieces Bridle Bag bag holds all your bits and pieces to keep your equestrian gear perfectly organised and in pristine condition. Beautiful SD Design snaffle bridle with Webb reins. The Deluxe style is so eloquent, the crystals flow subtly around soft edged v shape browband, this is one style that will suit a vast majority of equine faces. This special edition collection – Black Diamond displays an exquisite coloured stone and completed with a patent leather noseband. Soundproof ears lined with sound-absorbing material in the ear parts and cotton crochet . Specially designed for horses who are sensitive to noise. A comfortable, more humane bridle and winner of the 2008 BETA International Innovation Award. The Micklem Competition Bridle is ergonomically designed from the inside out to fit the shape of the horse’s skull. – This is the most comfortable, flexible and effective bridle ever designed. – Featuring stainless steel buckles, comfortable padding across the noseband, browband and on the cheek pieces, while the chin and throat strap guard prevent rubs. – Relieves pressure at the poll and around the ears. – No inward pressure at the cheeks, so does not press into the teeth. – Reduces pressure on the tongue using the Tongue Protection System. – No pain, numbness or damage to motory and sensory nerves or veins and muscles that can be casued by drop, crank or flash nosebands. This unique bridle is designed to comfortably fit the shape of the horse’s skull, avoiding pressure on sensitive areas. 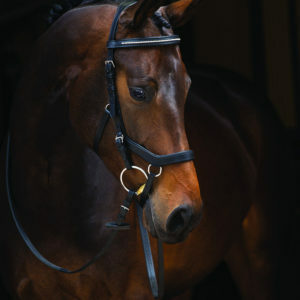 It can be used as a bridle, a bitless bridle with 3 strength options or a lunge cavesson and as such, is a more robust version of the Competition bridle. 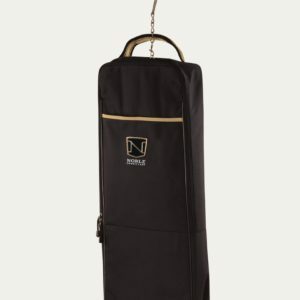 Comes with tongue protection clips, bit straps, curb groove strap and strong bitless strap. Reins not included. REACH compliant – eco-friendly methods of manufacture, no nasty chemicals used.